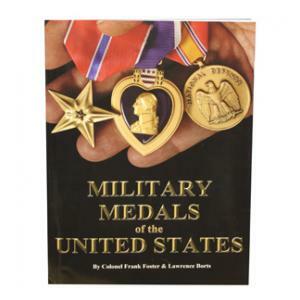 Easy guide to U.S. Military medals with award criteria. Color plates of all U.S. Military Decorations, Service Medals, Marksmanship Medals and Ribbons. Color presidence of wear for ribbon bars and devices for all services. History, display, wear guide and procurement. 192 pages.